We supply & fit replacement stair parts which can really enhance the beauty of your home. Available in Oak, Pine, Glass, Chrome and Iron you're sure to find the right style and design for your needs. 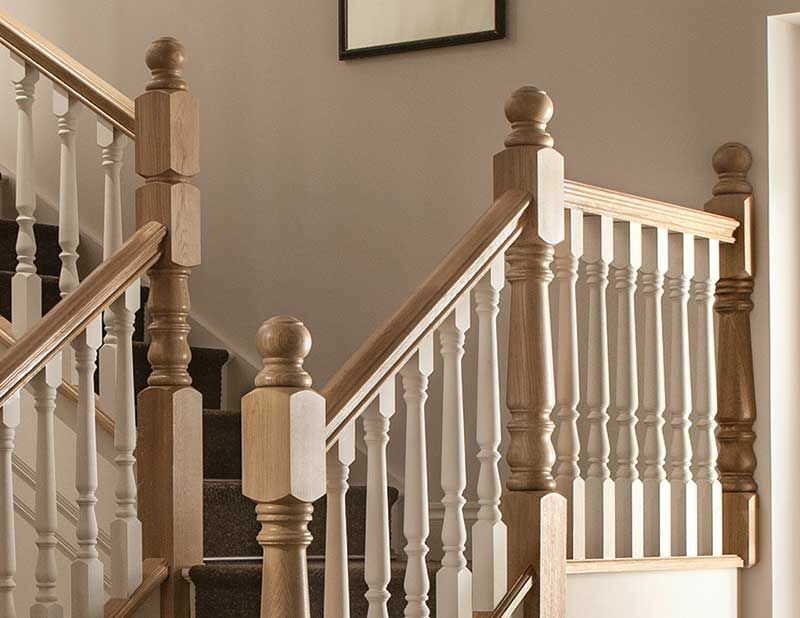 Comprising graceful, well-proportioned profiles in a variety of designs and with a comprehensive range of handrail fittings to use with a continuous handrail system, all products are beautifully finished to take paint, stain or varnish. We can even finish them for you pre-installation.